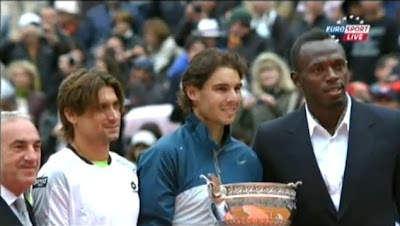 Rafael Nadal is the first player in tennis history to win for the eighth time the same Grand Slam title. Sunday, Nadal beat David Ferrer, who played at 31 years old his first Grand Slam final. 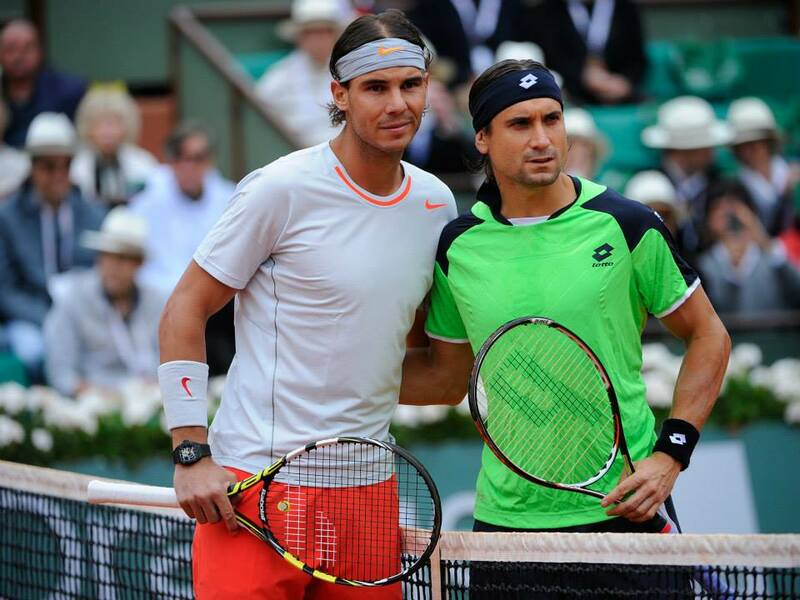 The match was played for two hours and 17 minutes in three sets 63 62 63. 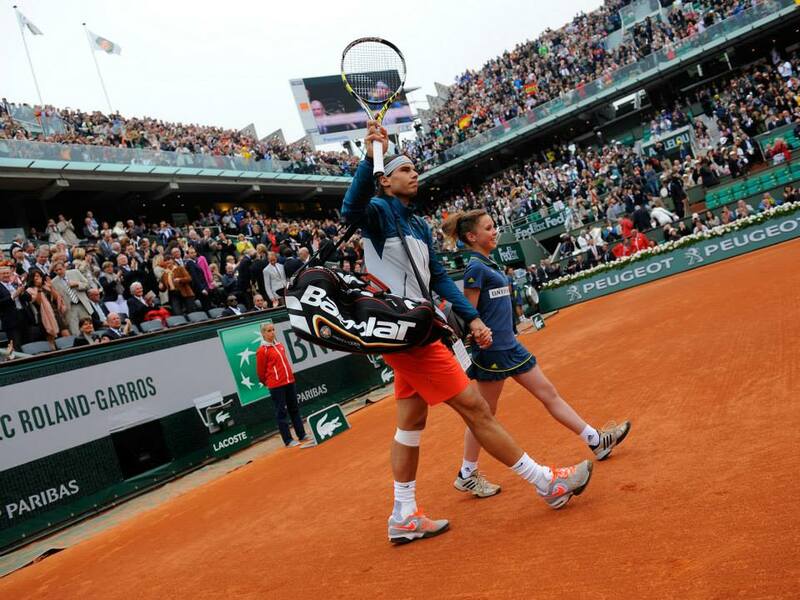 Nadal's eight titles are not consecutive, since Roger Federer won Roland Garros in 2009. The Spanish took the trophy home in 2005, 2006, 2007, 2008 and from 2010 to 2013. 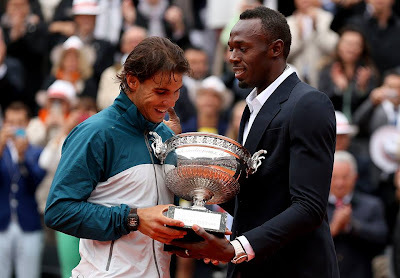 The eight title was delivered to Nadal by the fastest man on Earth, Usain Bolt. The King of Clay has now 12 major titles, 57 career victories, including 42 on clay.